What are the best meditation tools you have ever used? (leave a comment). Is it a beautiful Buddha statue? Maybe it’s an extremely comfortable meditation chair. My personal favorite meditation tool has to be my mala. It’s a beautiful black coral stone mala used to count breaths or mantra recitations during meditation. My mala has traveled with me for ten years and over tens of thousands of miles. It’s been with me at the best of times, like when I returned home in 2014 to visit my family for the first time in years. And it’s been with me at the worst of times, like when my father passed away. A meditation tool like that can become a truly treasured item. We come to care about spiritual items like these far more than the average household object. Meditation tools are much more than material objects. They are assets and allies in our quest for inner peace. Having the right meditation tools in your home can make all the difference to your health, happiness, and spiritual development. 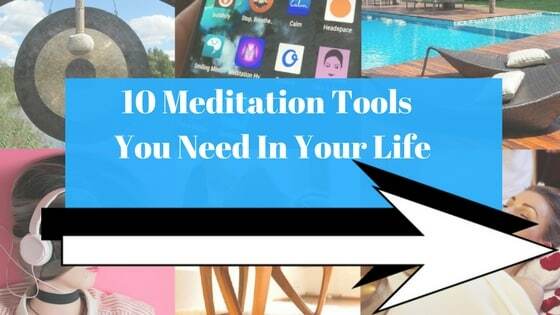 Here are 10 meditation tools that are truly helpful to have in your home. If I had to choose one and only one meditation tool to own, it would be a mala. Just take a look at these beautiful malas /prayer beads. Aren’t they glorious? Malas are prayer beads that are used for meditation. Ideally, a meditation mala will have 108 beads. As we meditate, we count the beads from 1 to 108 so we know how many breaths we have taken (or how many timed we have recited a mantra). Malas come in varying sizes and there is a wide variety of materials to choose from. My personal choice is always to go with coral because I like the energy that coral has. And black always looks best on me. So that would be my choice. What malas do you like? (Leave a comment and remember to subscribe to our newsletter). So, why is a mala such an important meditation tool? Firstly, you’re wearing it, so it reminds you to meditate. It also helps you to count breaths while you meditate, which is actually better than having a meditation timer. And the best ones look beautiful. “When sitting, sit,” so says the old Zen proverb. That proverb basically means to sit still, not fidget, and to be mindful of sitting. If you want to sit still and not fidget, you’re going to want a good meditation chair to sit on. The best meditation chairs don’t just support your back, they actually help you to find inner calm and stillness. As someone who spends a lot of time sitting on rocks meditating (I hike a lot), I’m always aware of the difference a comfortable chair can make. Check out our collection of the best chairs. You’re bound to find one perfect for you in that list. A good meditation cushion can be used either with a meditation chair or as a standalone product. I remember when I used to sit on the floor to meditate. I would fidget all the time. It was very difficult to find the right stillness of body. And if the body is not still the mind will not be either. That’s why a meditation cushion is so useful a meditation tool. Plus, a great meditation cushion looks beautiful in your meditation room. Take a look at my picks of the the best cushions for meditation. Tibetan Singing Bowls are so much more than just musical instruments. They have been scientifically proven to put our brains into more restful states. These are truly powerful meditation tools. Take a quick look at my guide to Tibetan Singing Bowls, which I wrote to explain the power and beauty of these instruments. I am personally totally in love with my own Tibetan Singing Bowl. It’s a truly cherished possession. There are so many Android / iOS apps on the market. And they cover all different purposes. Some meditation apps work as timers. Others offer guided meditation sessions designed to help you relax. However, do bear in mind that there are major limitation of guided meditations. The sheer variety and versatility of apps makes them one of the most important meditation tools on the market right now. What’s your favorite app? Leave a comment and remember to subscribe to our newsletter. Hands up who loves reading? I know I do. And as a meditation teacher, I especially love reading meditation books. There are so many it’s impossible to know where to begin. But what is the absolute number one meditation book in the world? Yep. Straight up. Not going to dance around the subject. If you’re looking for a meditation tool that will truly empower you, THEDAILYMEDITATION.COM’s Your Best Meditation is it. Period. Why is it numero uno? 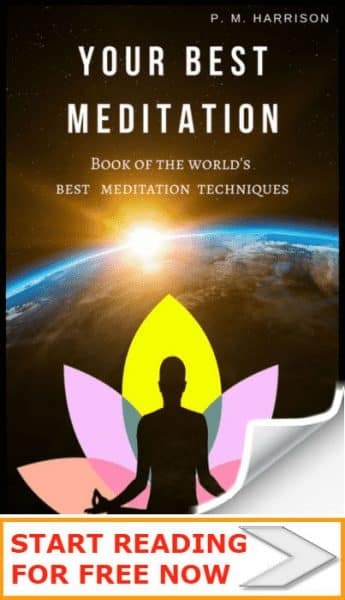 Because it teaches you ever major meditation technique and shows you how to use those techniques to create happiness that actually lasts. No other book in the world describes the gamut of meditation techniques in as much depth. Now that is a powerful meditation tool. Listen to these beautiful meditative music. Meditation music is much more than pure entertainment. It is a tool for meditation. Meditation music is specifically composed in order to promote relaxing brainwaves and to calm the mind. My absolute favorite meditation musician is Deva Premal. She’s a singer with a simply angelic voice. And the music she creates is like pure nectar for the spirit. It’s so relaxing and healing. Truly sensational. Muse Meditation Assistant [AMAZON] is a truly unique and wonderful meditation tool. Muse works as a personal assistant. When you put the Muse headband on and start the app it plays relaxing music designed to calm the mind. You can then meditate to those sounds. As you meditate, Muse measures whether you’re calm or stressed and used that information to change the sounds it’s playing. When calm, you hear peaceful sounds, when the mind wanders you hear more intense sounds that remind you to relax. Data is then used to show you how you’re progressing. This is true 21st Century meditation at its best. Highly recommended for anyone who is serious about using technology to enhance meditation. 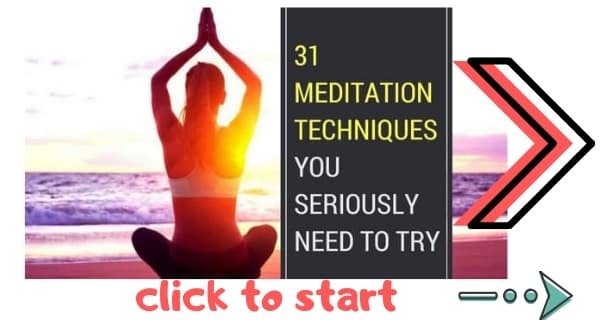 Guided meditations are meditation the easy way. If you like Zen with zero effort, you will definitely like guided meditations. These days there are millions of guided meditations on Youtube, and some of them are truly exceptional. Meditation gongs look absolutely stunning and they sound divine. 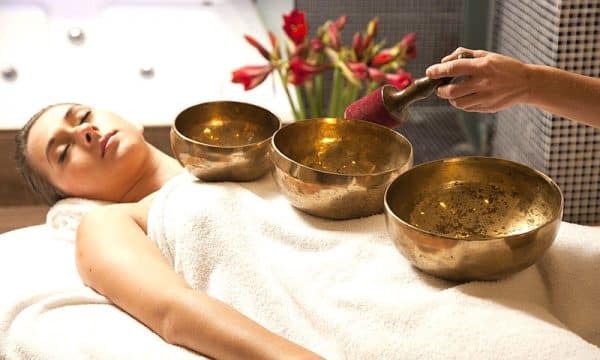 Good meditation gongs are specifically designed to create frequencies that put the brain in a meditative state. By simply sitting and listening to a meditation gong you can quickly relax and focus the mind. My guide to meditation gongs shares everything you need to know about this beautiful instruments. Zen Gardens are actually Japanese Rock Gardens. Many centuries ago, monks starting to turn gardening into a mindfulness practice. And the hobby took off from there. Today there are full-size Zen gardens at temples. Some extremely cool people have them in their own garden, or even indoors. And others have desktop Zen gardens. We can meditate on them. Take a look at my tutorial on Zen gardens for more. In 2018 we’re seeing the rise in meditation entertainment. One of the most popular types of meditation entertainment is video games. When I’m chilling out I love to play a relaxing meditation game like Flower or Journey (see the link above for more). These game are relaxing and help us to get into that Zen-state that we all know and love. Which is your favorite meditation tool? We’ve looked at nine excellent meditation tools that can make a huge difference to your practice. What is your favorite meditation tool? And what do you love about it? I use a Butterfly stick as do several of my friends. Very informative post! Thanks for sharing your experiences and advice. I love using singing bowls the most. These are my all time favourite! Inscense sticks and diffusers placed alongside a tealight is another calming ritual I follow after returning home from a busy office day. I have not tried zen garden yet. Any suggestive patterns to try for a calming mind? Hi. Thanks for your comment. When creating patterns for a Zen garden just meditate on the process of creating the pattern. Let your consciousness guide you and see what pattern you end up with.